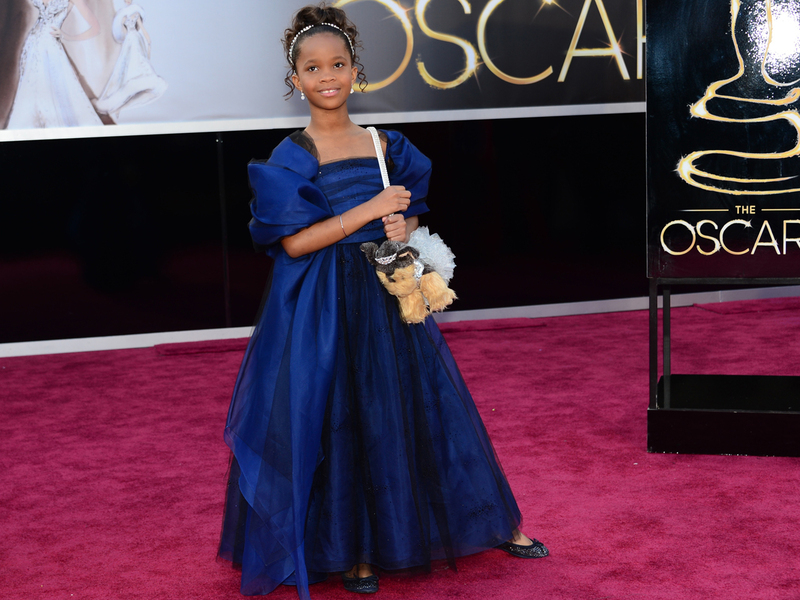 The Onion is apologizing for calling 9-year-old Oscar nominee Quvenzhane Wallis a vulgar and offensive name on Twitter. The satirical newspaper on Sunday referred to the "Beasts of the Southern Wild" star with an expletive intended to denigrate women. The Onion was lambasted overnight and asked for forgiveness Monday. CEO Steve Hannah wrote: "On behalf of The Onion, I offer my personal apology to Quvenzhane Wallis and the Academy of Motion Picture Arts and Sciences for the tweet that was circulated last night during the Oscars. It was crude and offensive -- not to mention inconsistent with The Onion's commitment to parody and satire, however biting." "No person should be subjected to such a senseless, humorless comment masquerading as satire," he added. Hannah said the offensive tweet was taken down in an hour, and the newspaper has "instituted new and tighter Twitter procedures" to ensure it will not happen again. Said Hannah: "Miss Wallis, you are young and talented and deserve better. All of us at The Onion are deeply sorry." A message sent to Wallis' representative seeking comment wasn't immediately returned. The Onion's original tweet brought some calls for the fake news organization to publicly identify the writer of the tweet. The publication says it averages 40 million page views and roughly 7.5 million unique visitors per month. Last year, the site made international headlines when the online version of China's Communist Party newspaper hailed an Onion report naming North Korean dictator Kim Jong Un as the "Sexiest Man Alive" -- apparently unaware it was satire.